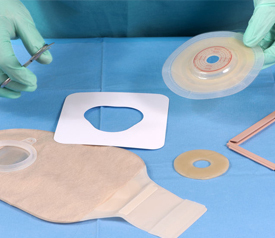 Peristomal Skin Issues & Ostomy Care · Hy-Tape International, Inc.
Stomas can lower a patients’ ability to stay active and their overall quality of life; peristomal skin issues in particular can be problematic and lead to discomfort and complications. Many skin complications arise from insecure, sensitizing or damaging medical adhesives. In order to prevent peristomal skin complications, it is critical that healthcare professionals be well versed in potential complications, risk factors and best practices for stoma management. Our sponsored article on Woundsource.com reviews the various possible peristomal skin complications as well as prevention and management techniques.